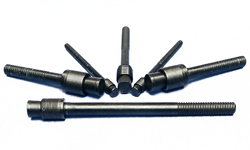 Bolt Products represents EIS and their new Expansion Plug product line - Bolt Products Inc. 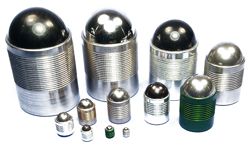 Engineered Inserts and Systems, Inc. is pleased to introduce their new EIS Expansion Plug product line. 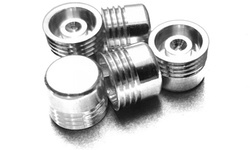 The EIS expansion plug is a one piece all metal assembly. 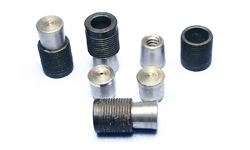 It is used to permanently plug and seal auxiliary construction holes in pneumatic and hydraulic components and systems. The EIS expansion plug is inserted into an as- drilled hole and the expander ball is driven into the plug sleeve. The independent sealing rings become anchored into housing material and permanently plug and seal the hole. This economic plugging system eliminates the need for costly tapping or reaming, machining for “O” rings, and the use of tapes or sealants. In addition to the low plug and hole preparation cost, EIS can further reduce your total plugging costs, with standard or custom automated installation equipment. The values offered are to be used as a guideline. The base metal chosen for your specific application, the surface treatment, hole size and surface finish all affect seal performance. Please contact us for additional information. Minimum wall thickness and distance from an edge.